This is my last post in this mini series on the migrant visitors of the Western Oakwoods of north-west Wales. 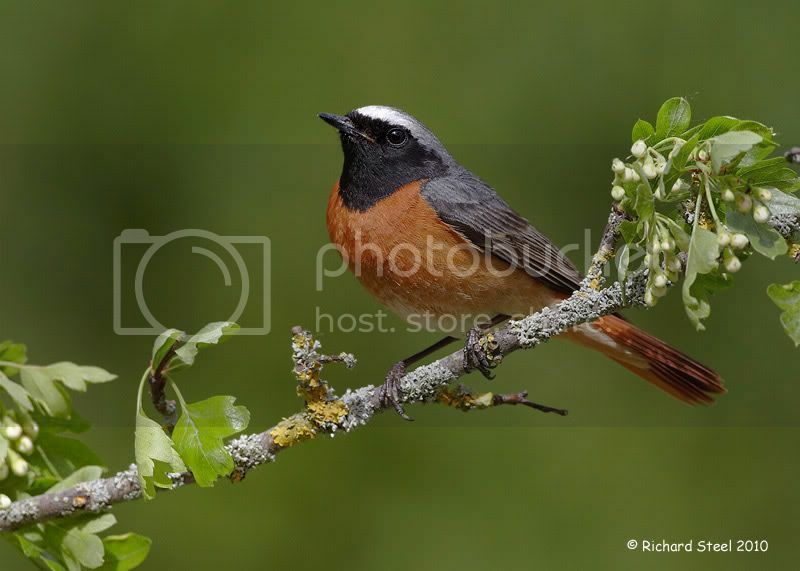 I am finishing with the species with which I have spent most time and is arguably one of the most beautiful woodland birds in the UK, the Common Redstart. 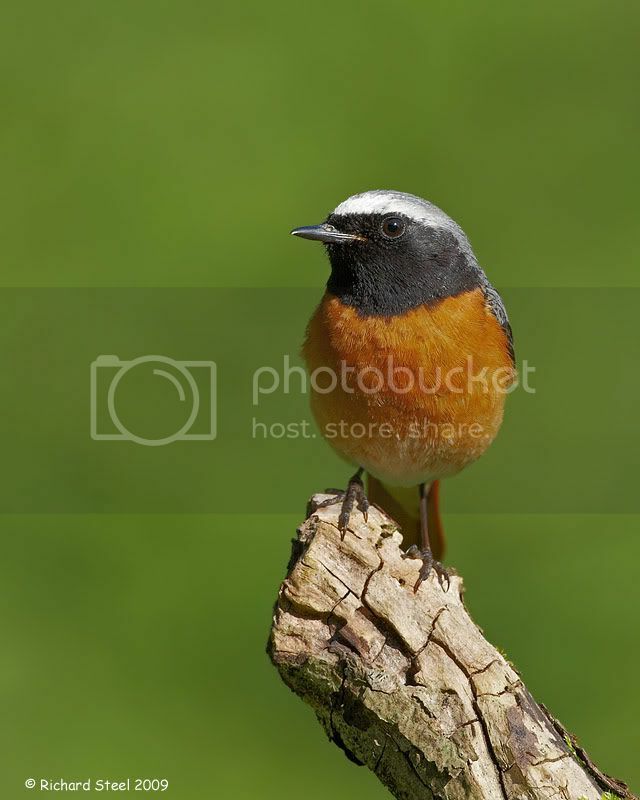 The Redstart overwinters in Africa and arrives in the UK around the end of April to early May. At this time their hesitant metallic warble, that always seems to come to a rather abrupt end, can be heard from tree tops as the males stake a claim to a territory and try to attract a female. Naturally the birds would nest in a tree hole but with their preference for the woodland edge will often set up their temporary home in the walls of derelict stone buildings. It was at such a ruin of a building I first found these birds and then spent the next three years from mid-May to early June trying to photograph them. Access to the site proved interesting as the old building was located on an Outdoor Education Centre for school children which then required me to go through all kinds of background checks to allow me to set foot in the place with a camera! My approach for these birds was to set up a small feeding station, away from the nest, providing live insect food in their main foraging area. This allowed me to direct the birds to where I wanted them in terms of light and perches and in return provided them with a readily available good food source to assist in rearing their young. It was interesting to watch them go about their daily foraging, as despite the abundance of provided food, they would often spend considerable time collecting other insects to provide a varied diet to the growing young. When you think about it this make sense, as you would not expect to have healthy children if you fed them solely on hamburgers :). 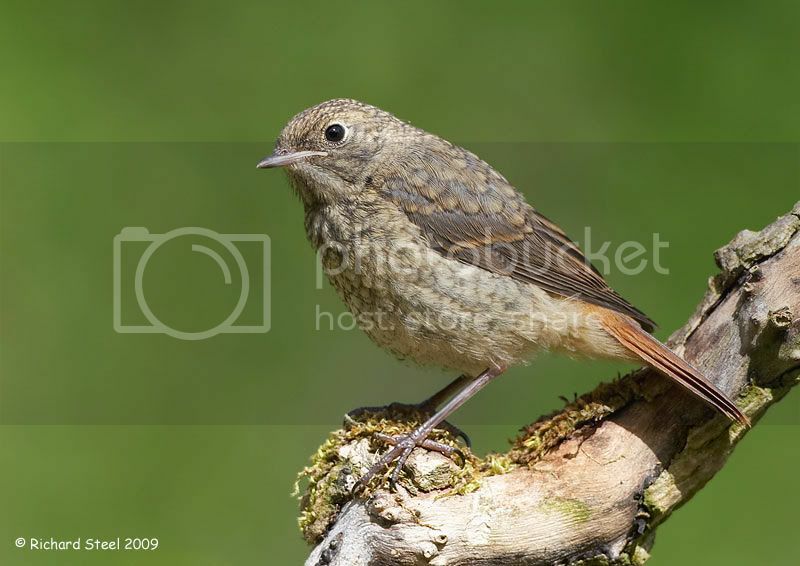 The condition of the fledged young is important as they have a long and perilous migration to make back to Africa in the autumn (fall) and only a couple of months after leaving the nest. 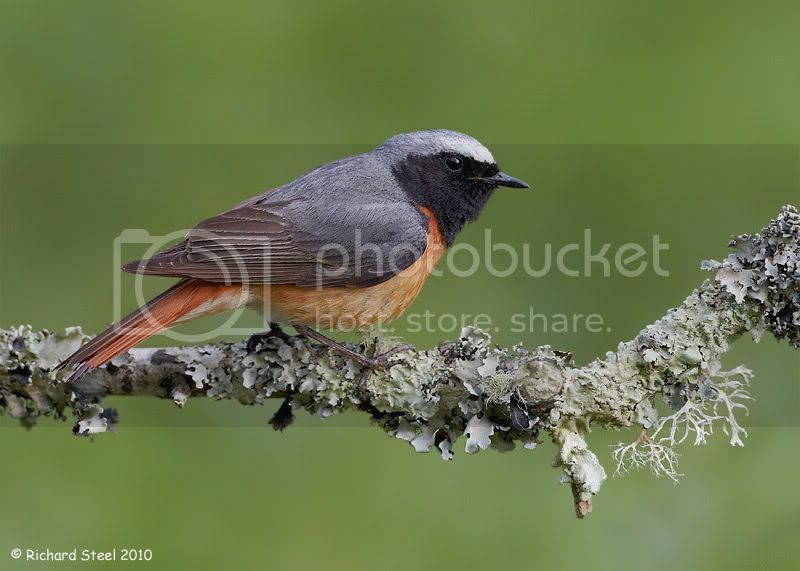 As with the previous species in my two last posts the Redstart is another migrant which overwinters in Africa and has suffered marked declines. There has been an estimated 55% reduction in the population in the last 25years, despite its adaptability in using alternative nesting accommodation. It was interesting how quickly the birds started using the new free food source which was usually within an hour of the first set-up. 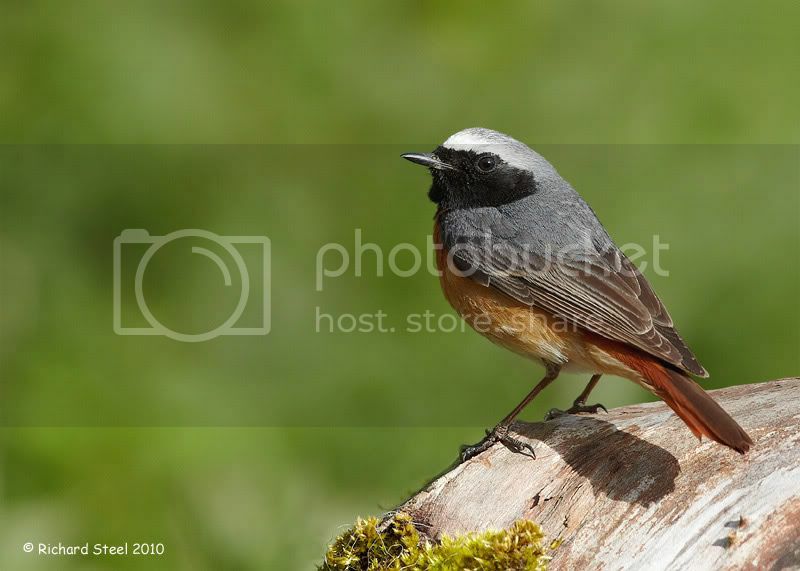 I still remember vividly my first photography session with the Redstarts. The bird I had marvelled over for so long in books was now before me alert, vibrant and characteristically flicking her red tail. The female arrived first but the moment when the male finally appeared was a breath draining moment. Such a beautiful bird. It was then I realised that male was actually going to be quite tricky to photograph in terms of photo exposure with its black head and brilliant white cap. A very fine balance in terms of camera control was going to be required to keep the feather detail in each. Over the next three years I spent many happy hours photographing the birds and watching them return each year to successfully rear another brood. 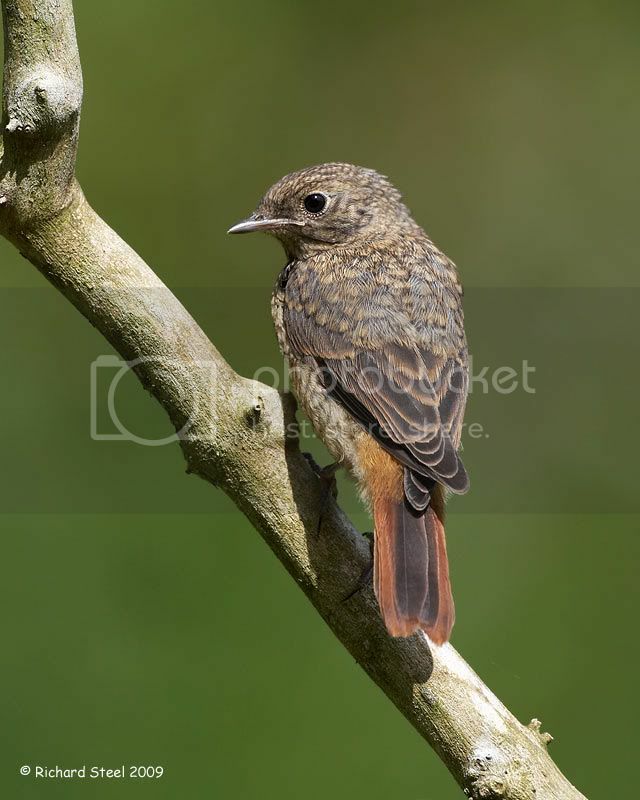 The young birds appear almost identical almost identical to the UK Robin, except for their red tail. I usually stopped photographing the birds shortly after the fledglings appeared but would always carry on feeding for at least another month to help get them in prime condition for their long journey ahead. Last year I decided not to visit the site as I was busy concentrating photographing another species at the same time of year. I suspect my access to the site has now been lost through the frequent change of manager, however, I will always remember with great fondness those warm late spring days sharing many wonderful hours with these stunning birds. Outstanding photos! It's always a pleasure to see these wonderfully photographed birds from across the Atlantic. Thanks for your hard work. 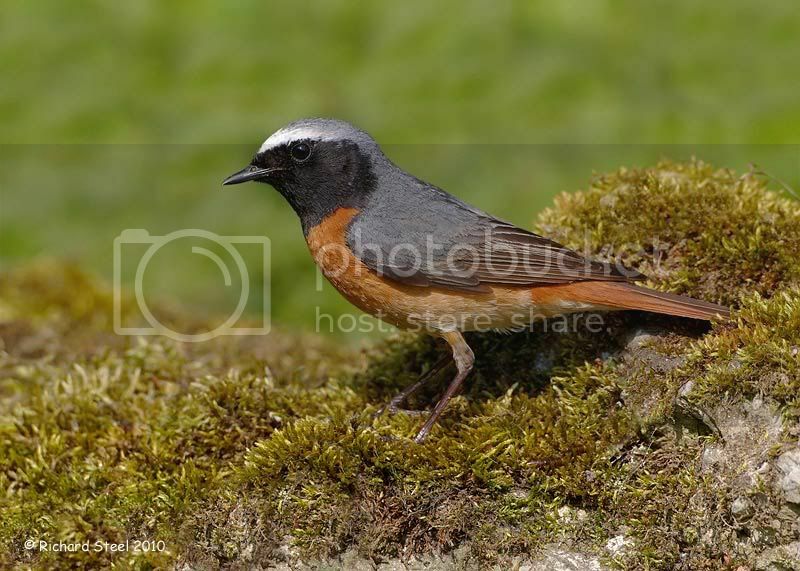 Our winter visitor Daurian Redstart in Hong Kong is almost identical to the Common Redstart. 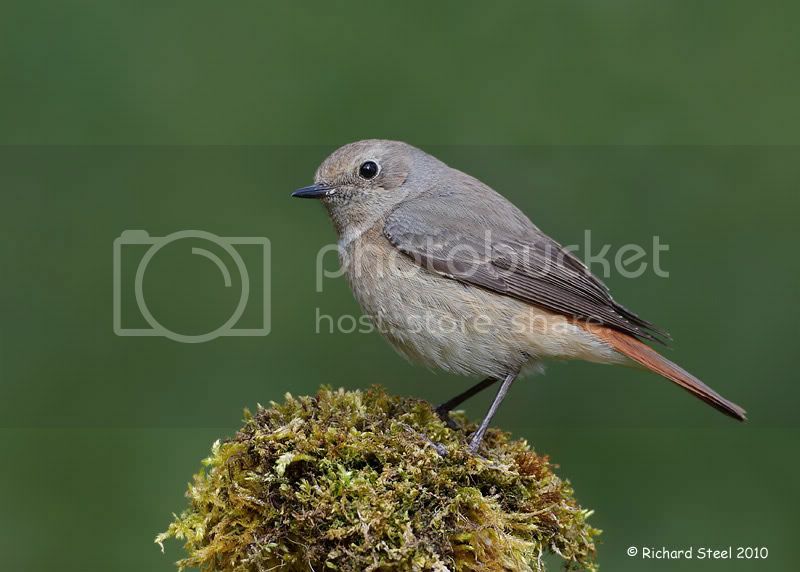 The only difference is that the Daurian Redstart has a white patch on both side of its wings. Your photos are superb! 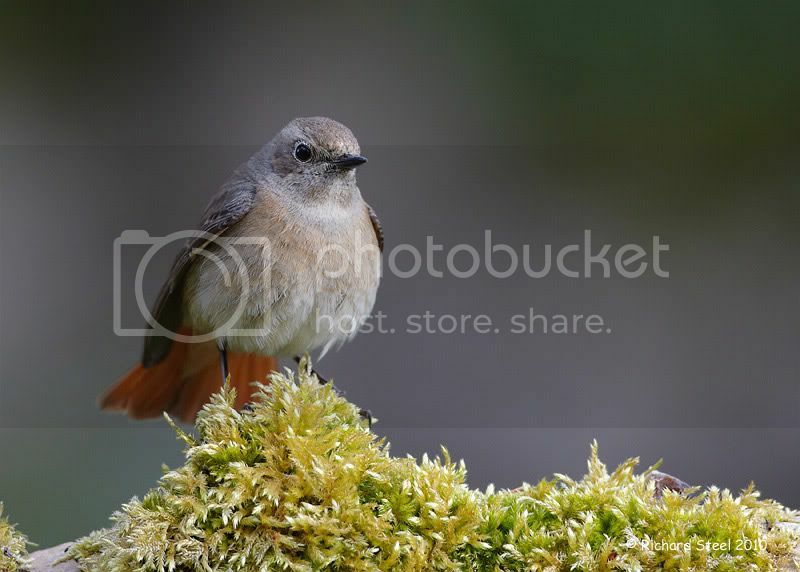 Brilliant photos Rich, they are stunning birds. Gorgeous work Rich! What an awesome bird. Wonderful post with gorgeous photographs. Exquisite photographs ... each and every one of them! What a glorious experience that must have been for you to observe these beautiful birds. Outstanding post! Excellent photos. Love the detail on the plumage. Amazing images! I was interested to read who you got these, I don't think I have such patience. I am so sorry to hear about your health concerns you mentioned in the comments on your post yesterday. I hope that your treatments are effective and that your recovery is quick. You have a huge fan club in North America who wish you well and will keep you in our thoughts and prayers...positive power for a speedy recovery...and give you an eHug from across the pond. As you recover, no need to worry about the blog. Take as much time as you need to heal and then get back out in the field to share your talents with the world. Rich, I echo Robert's expression of concern about your health problem and hope you will quickly and completely recover. Best wishes from Florida. Stunningly beautiful photos! Concerned to read about pancreatitis. That's an extremely painful condition. Take care of yourself, recover well and we'll wait for your next lovely post! This is a fantastic set Richards! Wow this bird is wonderful and youn got it well! Your careful preparation to allow yourself to photograph these birds paid off in spades. Gorgeous images! Very interesting to read about the birds. I hope you will be able to wrangle access to the property again through the new manager, and that your health concerns are alleviated soon.